This past weekend I attended a Clinical Pearls seminar in Chicago taught by my mentor the brilliant Dr. Tim Francis. Dr. Tim has taught me most of what I know about how to truly treat people holistically, addressing not only structural, but also biochemical and emotional causes of health problems too. He has taught me most of my adjusting skills, my muscle testing skills, and so much more. A significant focus of this weekend's seminar was using vial testing to help in getting to the root cause of symptoms, rather than simply treating the symptoms themselves, and then using our our various treatment tools of chiropractic, meridian therapy, Total Body Modification, homeopathy, and more to activate the body's healing response. 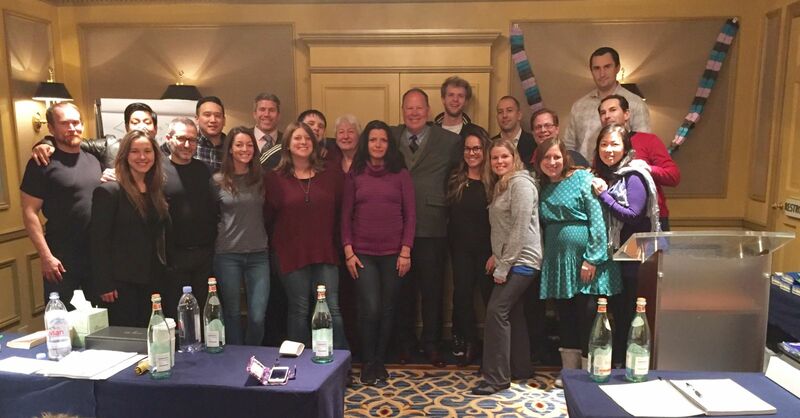 This is a photo at the end of our seminar weekend of myself with 19 other amazingly talented physicians who care very much about getting their patients well as quickly, gently, and effectively as possible. I am leaving the seminar feeling inspired, and by the way, I have brand new work from my mentor to begin using with my patients as soon as I get back into the office tomorrow, Tuesday! I am excited and motivated to get back to work. I am also grateful and honored to be able to work in this healing profession and to help people daily. See you all back in the office tomorrow!